"Heatwave. Saturday, June 28, 1980. San Francisco"
Unknown origin. If you have any information regarding this t-shirt, please contact Wearing Gay History. 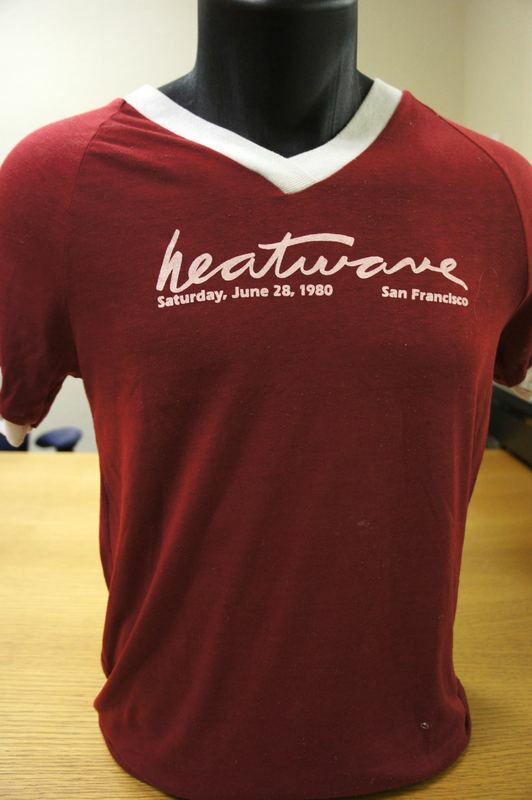 “Heatwave '80,” Wearing Gay History, accessed April 19, 2019, http://wearinggayhistory.com/items/show/3066.